In Korea, China, and Vietnam, this week marks the start of a New Year. This is a huge celebration in Hong Kong Disneyland but is also celebrated state-side at the Disneyland Resort and the Walt Disney World resort! 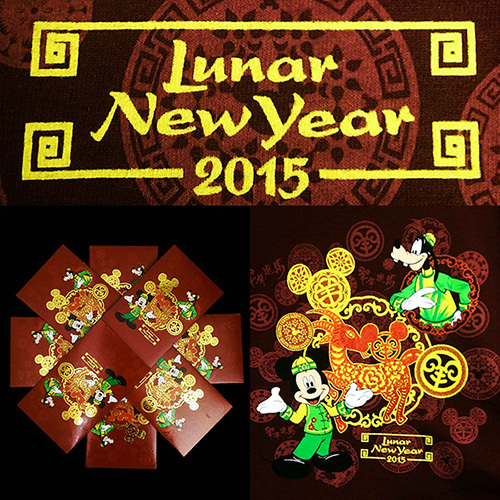 Disney California Adventure will be serving Asian treats at Bayside Brews and the Lunar New Year food cart. The Paradise Gardens area will be transformed with music, dancing, craftsm and character appearances featuring Mickey, Minnie, and friends in their New Year's best. At the China Pavilion in Epcot at Walt Disney World, special acrobatic performances and New Year's crafts will be available.